Everything on Feeling Mortal is original. The songs themselves are mostly spare, embellished by stray squeals of harmonica, picked guitar, a little pedal steel and an extraordinarily weathered voice that seems freighted with so much hard wisdom. 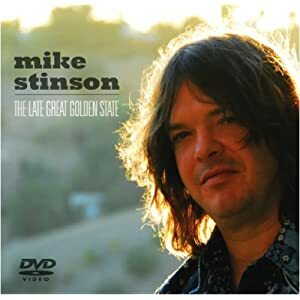 Named “Best Country-Western Artist in L.A.” by Los Angeles magazine and called “the uncrowned king of the L.A. neo-honky tonkers” by Billboard, Mike Stinson is in a class by himself among Southern California country performers. The universally respected singer-songwriter has issued two widely admired independent albums, Jack of All Heartache and Last Fool at the Bar, and 2009 will see the release of his third CD, The Jukebox In Your Heart, produced by the noted Austin, Texas musician Jesse Dayton and recorded at Willie Nelson’s Pedernales Studios.